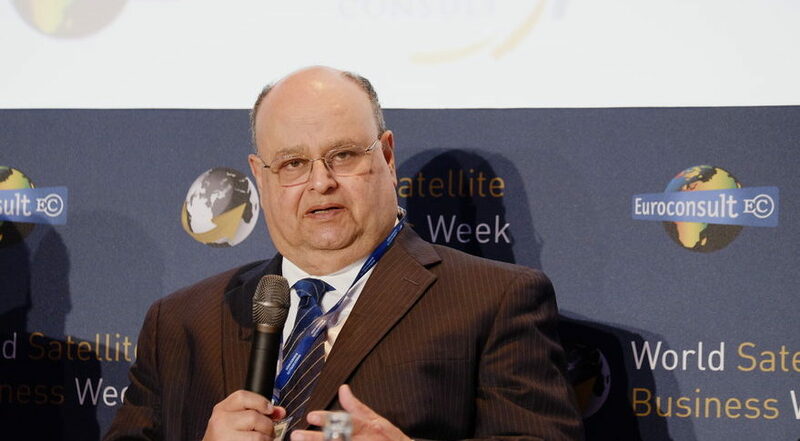 PARIS – Emirati satellite fleet operator Yahsat and Echostar’s Hughes Network Systems are seeking regulatory approval for a joint venture to offer ka-band broadband service in Africa, the Middle East and southwest Asia. Hughes plans to contribute $100 million for 20 percent ownership of the joint venture. “Our main thrust has been to build a global presence for broadband access,” Kaul said Sept. 11. Hughes has now achieved strong coverage of the Americas thanks, in part, to its agreement for Telstar 19 Ka-band capacity over South America, he said. Now, Hughes seeks to move into new global markets with the help of “a strong local partner who knows the market and knows the ins and outs of being successful in that area,” Kaul said. Yahsat operates three satellites serving the Middle East, Africa and Latin America. With its third satellite, Al Yah 3, launched January on an Arianespace Ariane 5 rocket, Yahsat is providing coverage in Africa and Latin America, said Masood M. Sharif Mahmood, Yahsat chief executive. The Yahsat-Hughes joint venture will pair Yahsat 2 and 3 with Hughes’ Jupiter very small aperture terminals. In addition, the joint venture will have access to Hughes’ Operating and Business Support System, which automates broadband-related tasks, including billing, customer support and network management. The joint venture will focus initially on providing broadband to homes, small and medium-size businesses, community centers and schools. It will establish hotspots where people outside those locations can gain internet access. Another goal of the joint venture is to “capitalize on the accelerating transition towards Ka-band based backhaul and carrier solutions from mobile network operators,” according to the announcement.